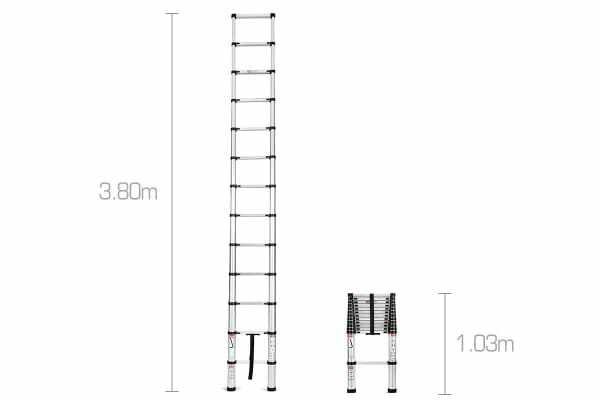 Cleverly designed for maximum reach and easy storage, the Certa 3.8m Telescopic Ladder is light to carry and light on your pocket too. 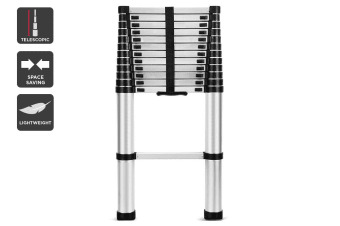 It extends incrementally allowing you to work at different heights, and reaches a maximum height of 4 meters when you need it to! 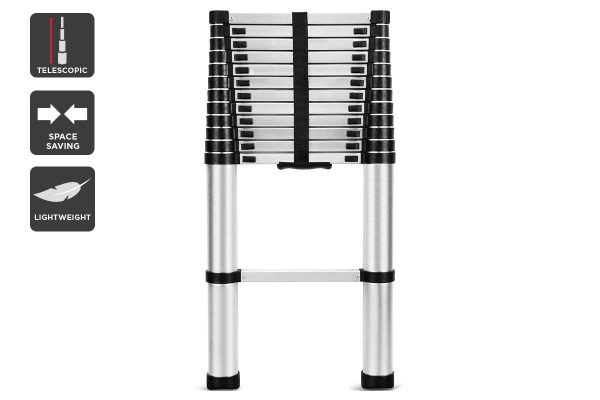 It contracts to around a meter making it easy to store in small spaces. 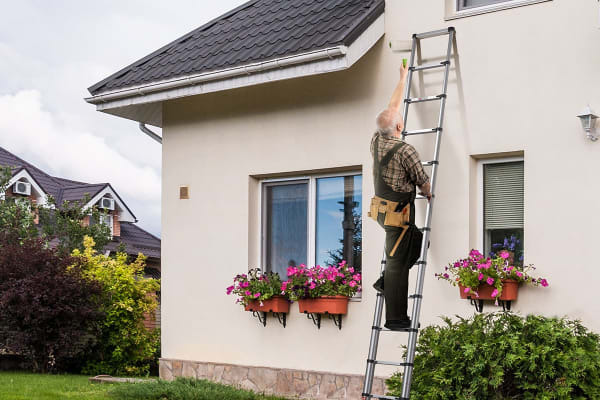 With so many pros in its favour, the Certa 3.8m Telescopic Ladder comes up as a “must-have” tool for your home or office. As described,surprisingly better than I expected for the price.